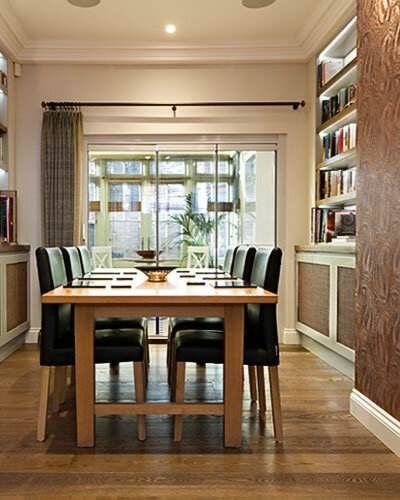 Complete Interior Design, Procurement and Project Management for a living & dining room in Fulham, London. 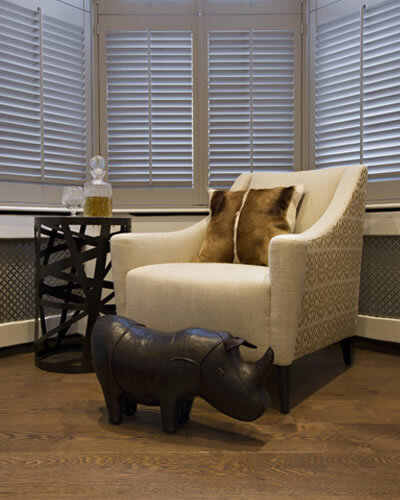 The brief was to create a contemporary living and dining space with an understated eclectic charm to compliment my clients worldly collections of artefacts and beautiful ethnic art, whilst ensuring their lifestyle & practical needs for storage and display were met. We designed bespoke sideboards with backlit asymmetrical bookcases to house their vast collection of books and exhibit their beautiful artefacts. A mix of eclectic and contemporary textured fabrics, exquisite sculptured bronze metalwork side tables & beaded ethnic wallpapers were introduced to complement their beautiful art & colour scheme. New engineered walnut wooden floors with underfloor heating were installed along with a new inset detail tiled floor for their conservatory. 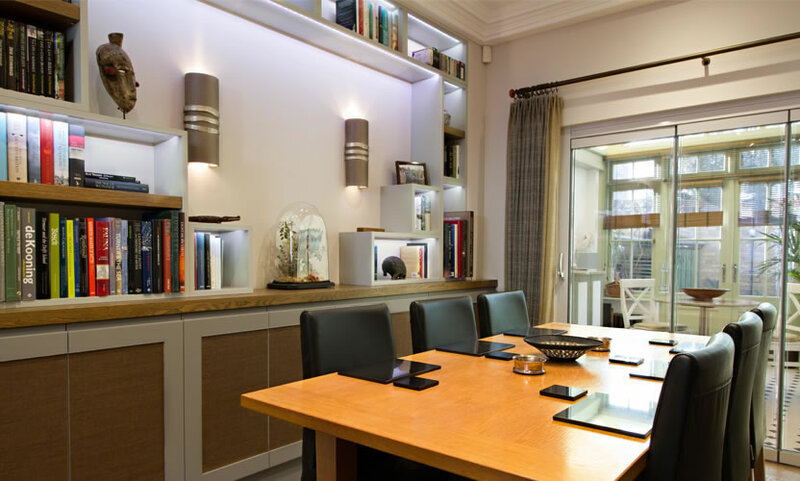 A new smart home lighting plan was designed to ensure all art was beautifully lit in both rooms, with feature lighting to ensure my clients had ample mood lighting options for every occasion.